This year, the Stubai Glacier welcomes approximately 30 TV weather forecasters and presenters from 25 TV-stations from 9 nations within the scope of the 10th International Weather Summit from 17 to 19 Nov. 2016 in the Stubai Valley. Besides of a jovial get-together of experts and the awarding of the “Weather Summit Award”, the TV teams will report for their stations. 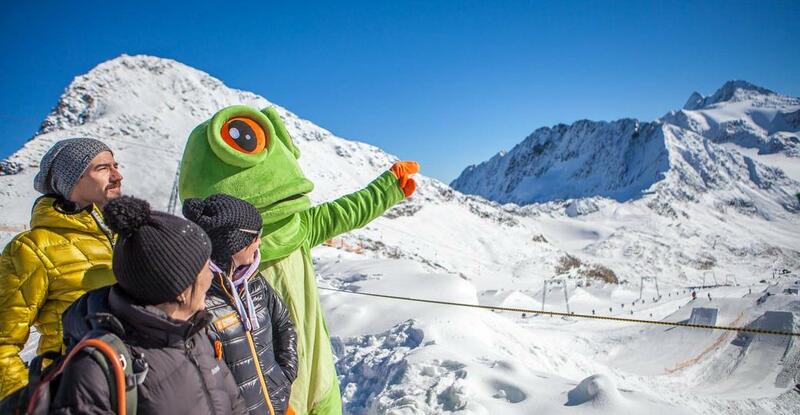 More than 30 TV-stations will report live from the Stubai Glacier. The list of participants includes well-known names from the scene, such as ORF-presenter Marcus Wadsak, RTL weather director Christian Häckl or Sarah Thornton, the star weather presenter of the British BBC. Their colleagues from Switzerland, France, Sweden, Italy and the Benelux countries will also be on site. Very present will also be TV-weather forecasters from Central Europe and Russia. Absolute highlight of the event will be the awarding of the Weather Summit-Award for the best weather presentation in European TV in the Schaufelspitz gourmet restaurant. Each participating TV-station has the opportunity to submit an actually broadcasted weather presentation of the last year. We are looking forward to welcoming the meteorologists!